Many people spend their lives searching for the means to acquire tremendous financial wealth. They look to external resources to give them what they want, and are ultimately disappointed when their dreams don't turn out the way they had planned. They either become incredibly wealthy at the expense of their spiritual well being, family, and friends, or they never acquire the riches they've aspired to, and in their disappointment, they discover they've lost all sense of self-worth. 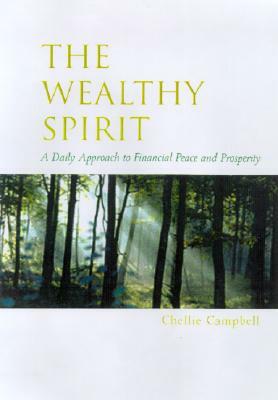 The Wealthy Spirit is the only book that offers an approach to achieving both spiritual and financial wealth. Through a series of daily affirmations that focus on the reader's internal strength and capacity for change, this book will set them on a path toward personal enlightenment and wealth in body, mind, and spirit. Think positive. Like mind over matter, mind over money begins with believing you deserve it and can get it. Send out ships. You can wait for your ship to come in, but if you don't send any out, it's going to be a long wait. Count your money. Money is a game and you have to know the score. The money score will tell you how well you're doing at steps one and two. Swim with dolphins. Being "in the swim" will depend largely on who you're swimming with. Find "your people" and avoid sharks. Survive the storms. You must weather interior storms as well as exterior ones. Persistence is key. Seek balance and enlightenment. Only from their perspective will you know when you have "enough." The Wealthy Spirit offers readers peace of mind to help them build financial muscle and a successful, stress-free life. Chellie Campbell is a former bookkeeper and musical comedy actress who combined her acting and financial skills to create the popular Financial Stress Reduction Workshop. She is now a full-time professional speaker, seminar leader and author. She lives in Los Angeles.